“Before the March for Our Lives takes place tomorrow at noon, the Rally for DC Lives will give a platform to seven DC students ages 12 to 18 to share their experiences around gun violence and what needs to happen next. They will be joined by Mayor Muriel Bowser, Congresswoman Eleanor Holmes Norton, members of the DC Council, and Attorney General Karl Racine in calling for an end to gun violence and an end to congressional interference in DC’s locally passed gun laws. 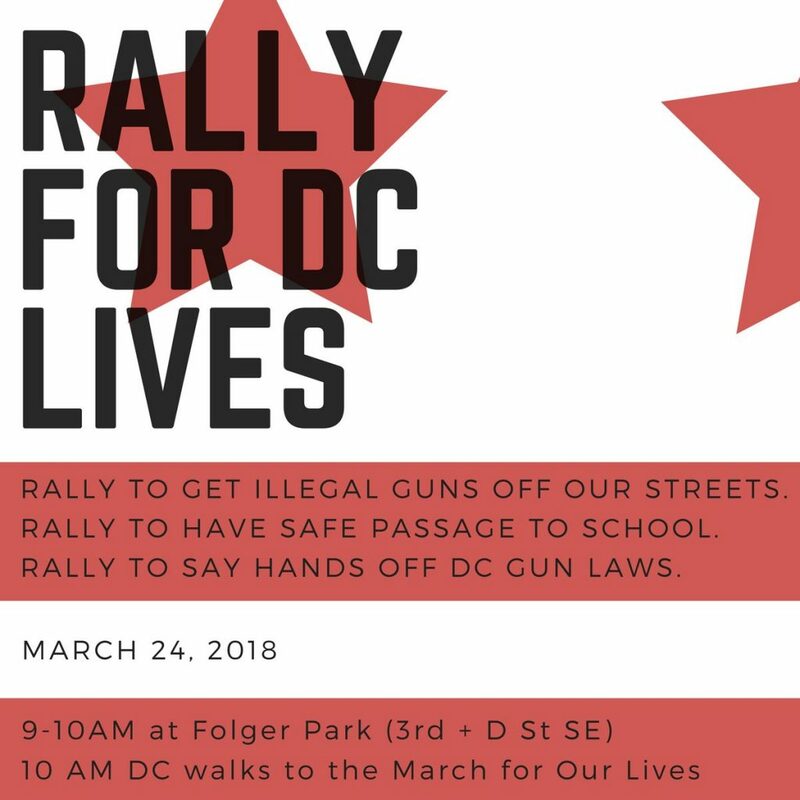 Why: Rally with your neighbors, hear from DC’s youth about gun violence, learn from Congresswoman Eleanor Holmes Norton about congressional efforts to interfere with DC’s gun laws, and head to the national March for Our Lives as a group. Here’s the proposed walking route we’ll take at 10 am. We will head for the entrance at 7th and Constitution, NW. Trader Joe’s Announces 8am March 30th Grand Opening in NoMa; Streets Market Cafe also coming to NoMa! !